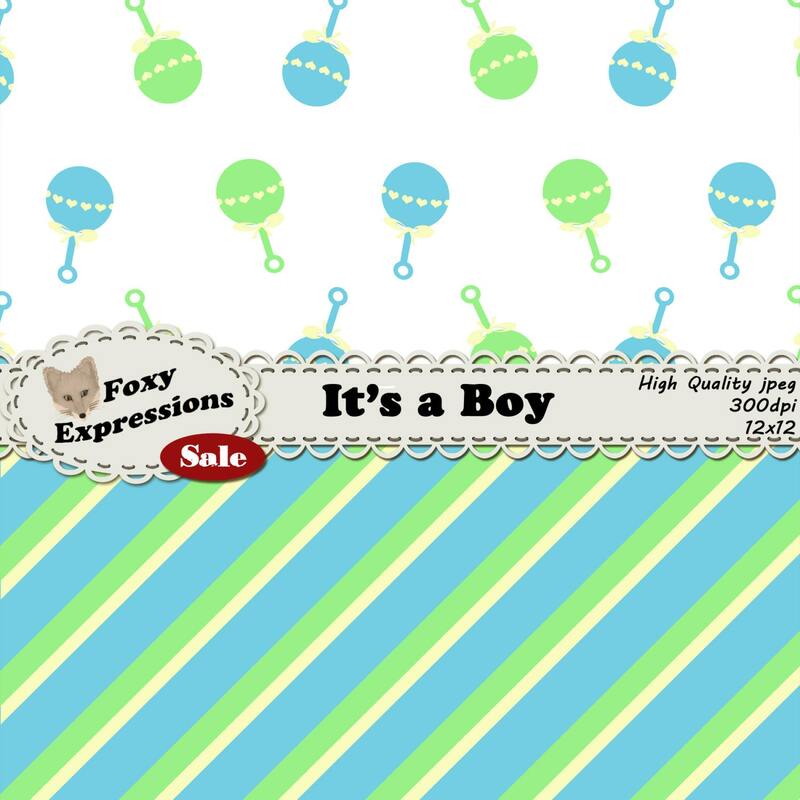 Its a Boy! 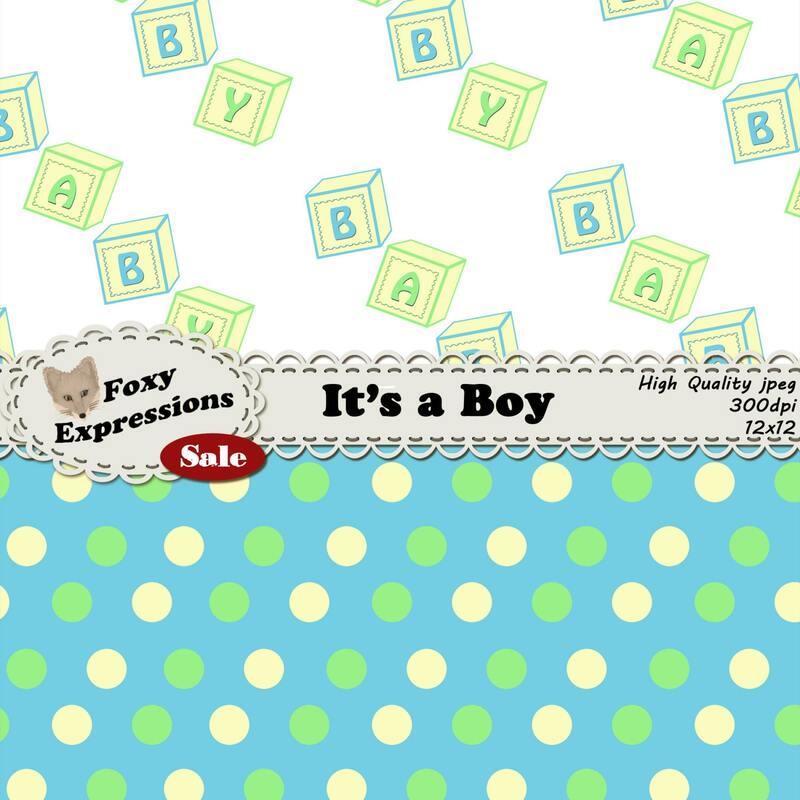 This cute baby boy pack comes in beautiful shades of blue, green and yellow to let everyone know the big news. 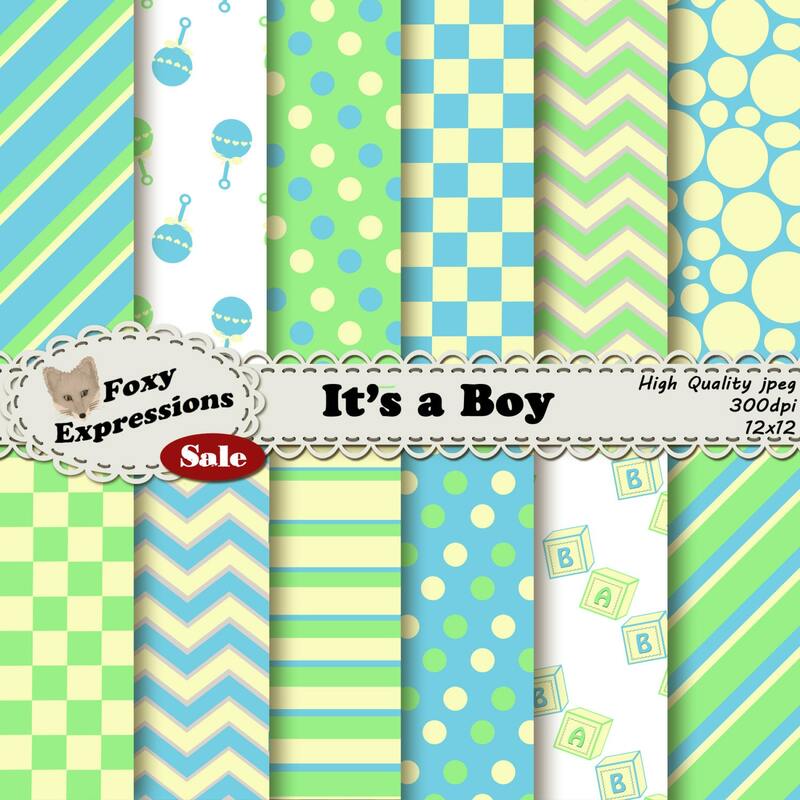 It features polka dots, chevron, stripes, baby blocks, rattles, waves and bubbles! 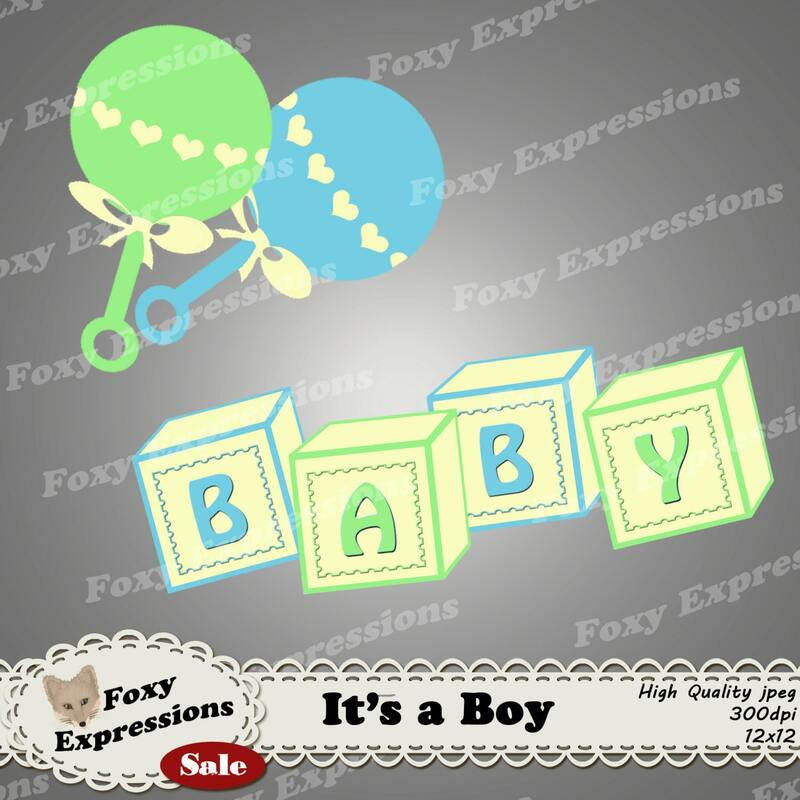 Plus bonus clip art with clear backgrounds of the rattles and baby blocks.